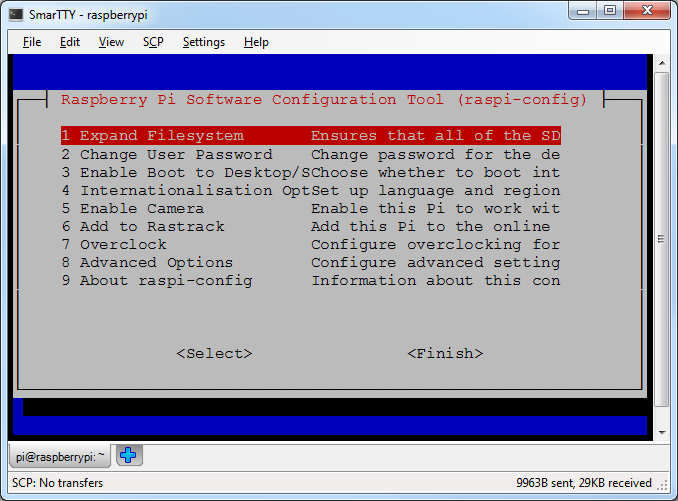 This page contains the installation instructions for the Debian Jessie SD card image for Raspberry Pi and Raspberry Pi 2. Download and unpack the image. 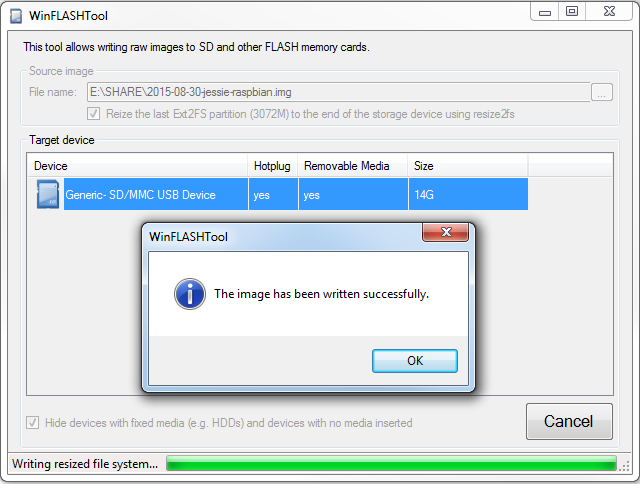 Download and launch WinFLASHTool. 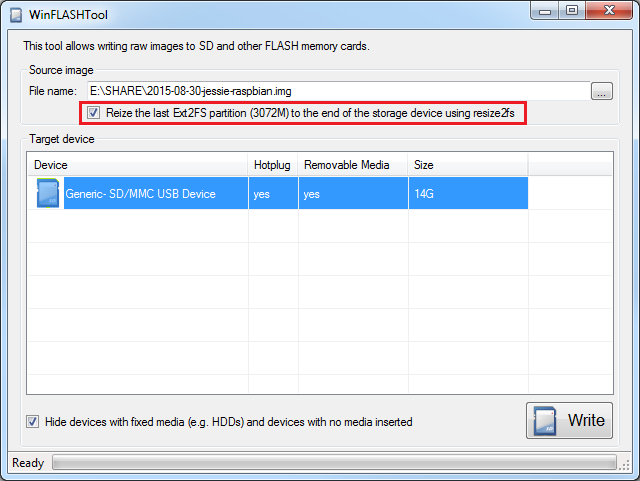 Specify the path to the unpacked image: Ensure that the "Resize partition" checkbox is checked. This will automatically extend the Raspberry Pi system partition to fit the entire SD card and make this space available for your Raspberry.